Deficiencies of Out-of-Spec (OOS) investigations continue to be the major cause of warning letters in the pharmaceutical industry. FDA requires that all out-of-specification results must be investigated; therefore, an effective and compliant quality management system requires well-documented, thorough investigations for OOS. Key challenges for many companies are having a clear understanding of regulatory expectations on how to handle OOS investigations. Lack of consistency around investigation and root-cause analysis processes will lead to error and expensive laboratory activities. This session will discuss the Guidance for Industry on OOS investigation issued in October 2006 by the FDA. As testing become critical to determine the cause of OOS results, investigation process will be discussed and procedure that will minimize OOS. It will also discuss the documentation system as well as CAPA activities. This course is not designed for microbiologists. This course will benefit analytical chemists, staff scientists, investigators in quality control lab, R&D, production, manufacturing, contract labs, quality assurance, regulatory affairs, laboratory auditors, lab inspectors, data reviewers, lab investigators. This course is not intended for microbiologists. · How to prevent OOS investigations. Kim Huynh-Ba is the Executive Director of Pharmalytik (www.pharmalytik.com), where she provides consulting and training services to pharmaceutical companies, including companies operating under FDA’s Consent Decree. She is the editor of the well-known “Handbook of Stability Testing in Pharmaceutical Development: Regulations, Methodologies and Best Practices” and “Pharmaceutical Stability Testing to Support Global Markets” (2010). She has over 25 years of experience in quality systems, analytical development, strategic drug submission and stability sciences. Prior to Pharmalytik, she was the Director of Pharmacopeial Education Department, where she was responsible for their education programs worldwide. She is an Adjunct Professor at Temple University-School of Pharmacy, Widener University and Illinois Institute of Technology (IIT) teaching pharmaceutical analysis, quality audit, Good Manufacturing Practices and ICH guidelines graduate courses. Kim is also a short course instructor on numerous cGMP compliance and quality topics for several global organizations such as American Chemical Society (ACS), American Association of Pharmaceutical Scientists (AAPS), Pittsburgh Conference, and many other international training groups. Kim is a member of the USP Council of Experts for the 2015-2020 cycle and is the Chair the Chemical Medicines IV Expert Committee. She is also the Chair of USP Good Documentation Practices Expert Panel and a member of USP Impurities of Drug Products Expert Panel. 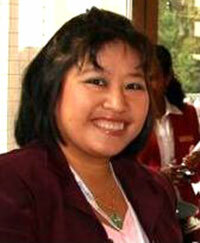 Kim is a member of the Governing Board of Eastern Analytical Symposium (EAS) and was their 2013 President.